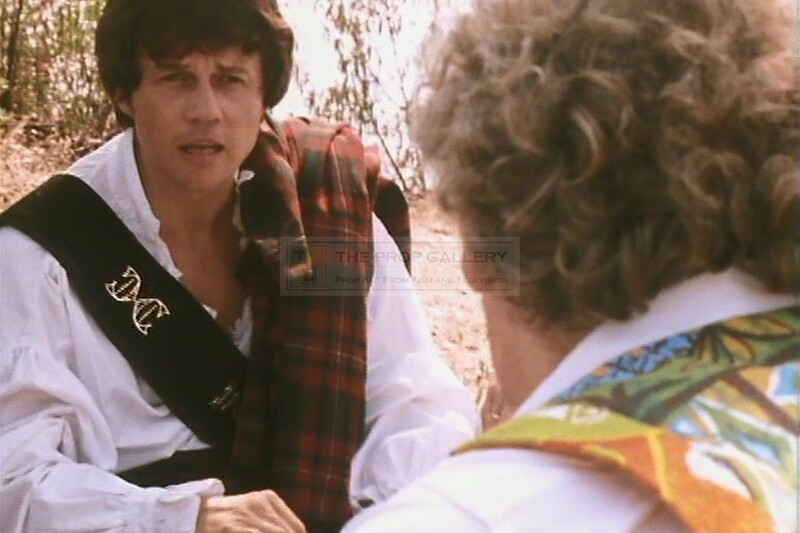 This costume was worn on screen by Frazer Hines as Jamie McCrimmon in the 1985 serial The Two Doctors starring Colin Baker as The Doctor in addition to Patrick Troughton with whom Jamie had previously travelled with from 1966 to 1969, he remains one of the longest serving companions in the history of the series. 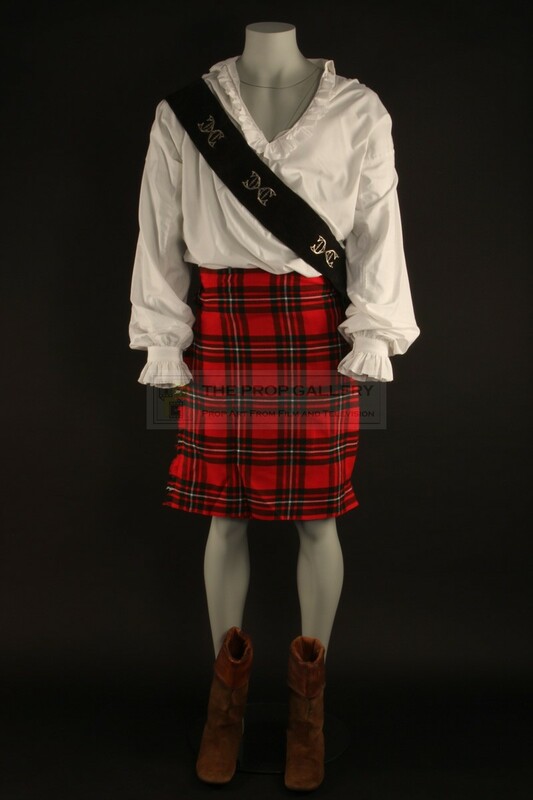 The costume comprises of a period dress shirt of white cotton featuring frill detail to the collar and cuffs with the original Bermans & Nathans label to the interior collar, a sword sash of leather with applied metal details and bespoke leather boots by noted makers Anello & Davide of Covent Garden, London. 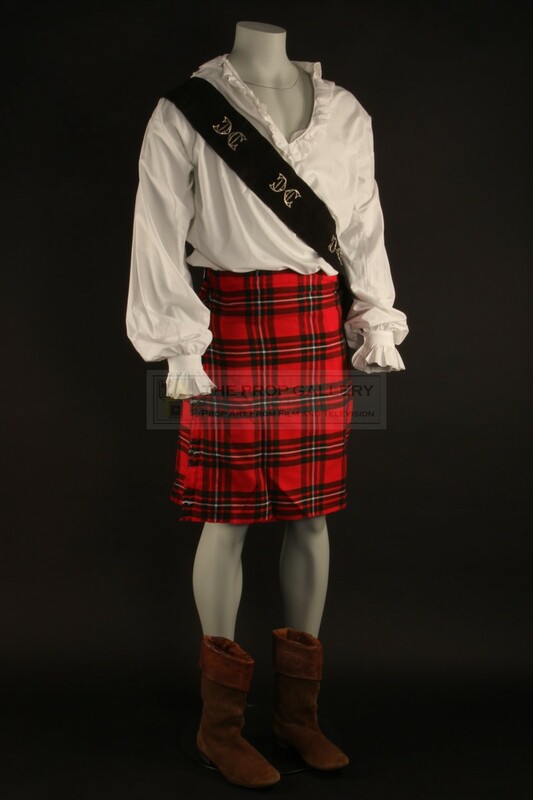 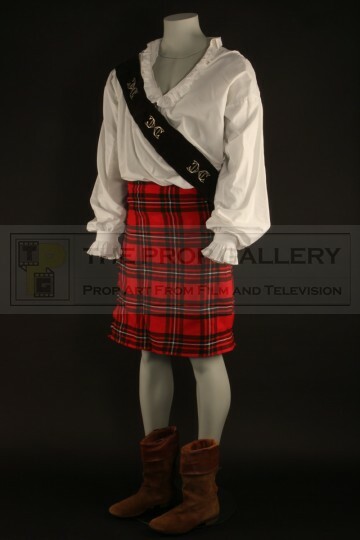 These costume pieces were sourced by the BBC from leading theatrical tailors Bermans & Nathans and would have been created years earlier and used in various productions as part of their hire stock, the original kilt worn on screen by Hines was returned to Bermans & Nathans following filming and has been lost without trace so the ensemble is completed for display purposes by a modern reproduction of similar pattern, the remainder was retained by Frazer Hines for over two decades before being obtained directly from him by The Prop Gallery. 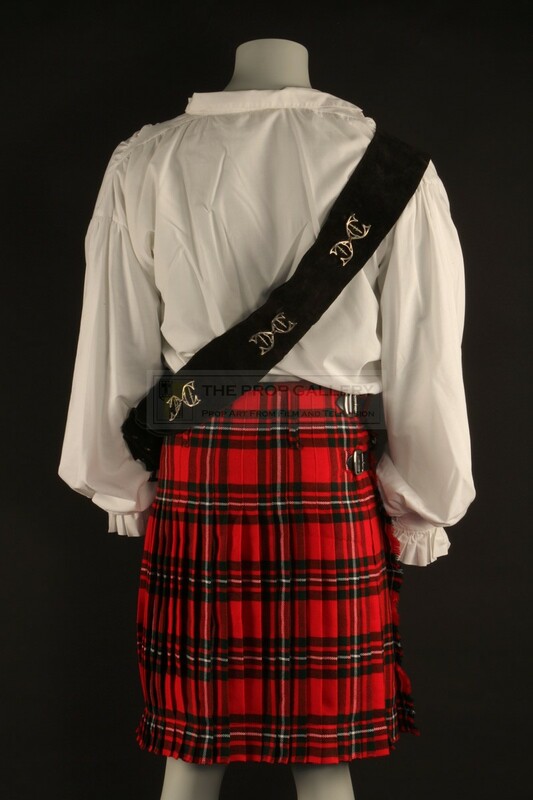 The costume remains in generally excellent production used condition with expected wear due to age, overall very fine. 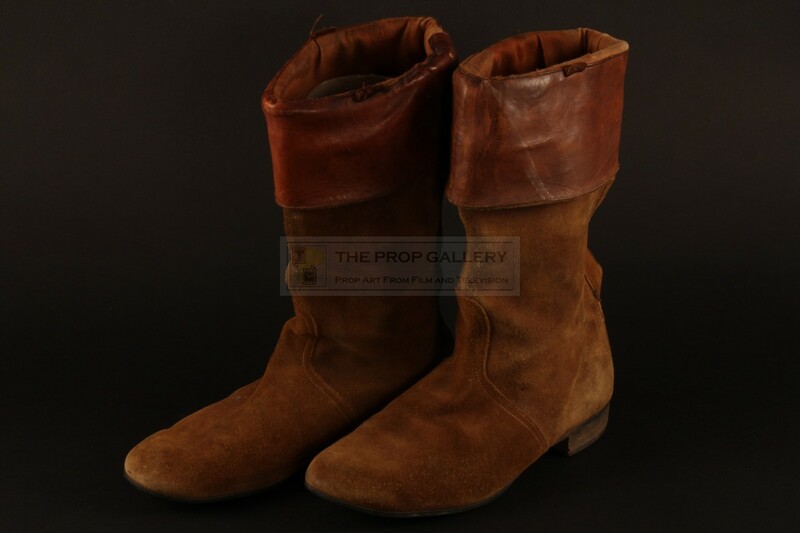 This represents an extreamly rare example of companion wardrobe from this classic science fiction series.